Under civil forfeiture laws, provincial governments have seized apartment buildings and rental homes from landlords when tenants have committed crimes such as selling drugs on the premises. This occurred even when the landlords were not involved in the illegal activities. A report entitled Civil Forfeiture in Canada released this month by the Canadian Constitution Foundation and Institute for Liberal Studies provides a scathing indictment of the process of civil forfeiture, and calls for an overhaul to protect the rights of property owners. These laws give provincial governments the right to take ownership of a property, like an apartment building, without giving compensation to the owner, when crimes occur on the property. In most cases, there is no requirement that the owner be convicted of a crime — or even charged with a crime. In New Brunswick, for instance, a landlord acquitted of committing a crime may still face property forfeiture. According to the report, there are eight provinces in Canada that have civil forfeiture laws: Ontario, Alberta, Manitoba, British Columbia, Saskatchewan, Nova Scotia, Quebec and New Brunswick. Other provinces and territories have declined to pass this laws. The Yukon government chose not to follow through on its plan to enact civil forfeiture legislation. One of the most problematic features of these civil forfeiture statutes is the burden of proof. In a criminal case, a person must be found guilty beyond a reasonable doubt. However, because forfeiture cases technically are civil in nature, the burden of proof is a balance of probabilities, which is significantly easier to meet. This results in forfeitures taking place against individuals who could not have been convicted of criminal charges. The report indicates that, of the eight provinces with civil forfeiture laws, none require that the owner be charged with a crime or convicted. Examples of forfeiture actions include landlords who owned two rooming houses that they rented primarily to tenants on government assistance. After allegations that some of the tenants may have sold drugs on the premises, the government of Ontario brought an application against the landlords to forfeit both houses. The government’s argument: because the landlords received rent from tenants, they were complicit in the crime. This case has been pending for years. In another case, also in Ontario, a 12-unit apartment building was seized from the landlords because of alleged illegal activities of the tenants. The application claimed that the building was an “instrument of crime” and the landlords were not “responsible owners” because they did not evict the tenants. The building was valued at $400,000. The landlords were never accused of crimes, according to the report. In cases brought against rental property owners, including a recent case from British Columbia where a landlord lost his property after a tenant grew marijuana, courts have determined that a landlord could be found to be complicit in a tenant’s illegal activities if the landlord did not make reasonable efforts to screen tenants, and regularly inspect the rental property. Therefore a policy of running tenant background checks, and active management practices that deter crime, like participation in a Crime-Free Multi Housing program, crime restrictions in the tenancy agreement and routine property inspections may offer some protection. The CCF graded each province’s forfeiture laws based on a number of factors including fairness, disposition of the proceeds seized, and how often the forfeiture laws are applied. British Columbia was rated the most aggressive in the country, and received a failing grade. So did Ontario, in part because it’s laws have been around the longest, and Manitoba. Saskatchewan,considered equivalent to B.C., received a D+, as did New Brunswick and Nova Scotia. Alberta fared slightly better with a “C”. 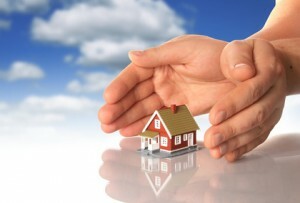 There have been fewer cases brought against property owners in that province. Quebec also received an average grade.